Installing apps on the iPod touch is easy. Just a few taps in the App Store app and you have that perfect, funny, cool or useful app that caught your eye. You may love it for a while, but then one day you realize you haven't used the app in weeks, maybe months. Now you'd like to get rid of the app to free up space on your iPod touch. You have at least five ways to do this. Tap and hold any app until all the apps begin to shake and those that can be deleted display an X. Tap the X on an app and a window pops up asking you to confirm the deletion. Tap Delete and the app is removed. Repeat this process for each app you want to delete. When you're finished, click the Home button to stop the icons from shaking and save your changes. This technique deletes the app from your iPod touch. If you sync your mobile device with a computer, it doesn't remove the app from your computer, though, so you can reinstall it later. Beginning with iOS 10, you can delete apps that are pre-installed as part of the iOS in this same way. For example, if you don't own any stocks, you can delete the Stocks app that was pre-installed with the iOS on your iPod touch. The ability to sync apps was removed from iTunes version 12.7, released in Sept. 2017. If you're using an earlier version, these instructions still apply. If not, try some of the other instructions from this article to delete your apps. If you sync your iPod Touch with a computer, use iTunes on the computer to delete apps from your iPod touch. This option is convenient when you want to remove a lot of apps. Begin by syncing your iPod touch to your computer. When the sync is complete, click Apps from the drop-down menu at the top of the screen in iTunes and select your iPod touch to display all the apps on your device. 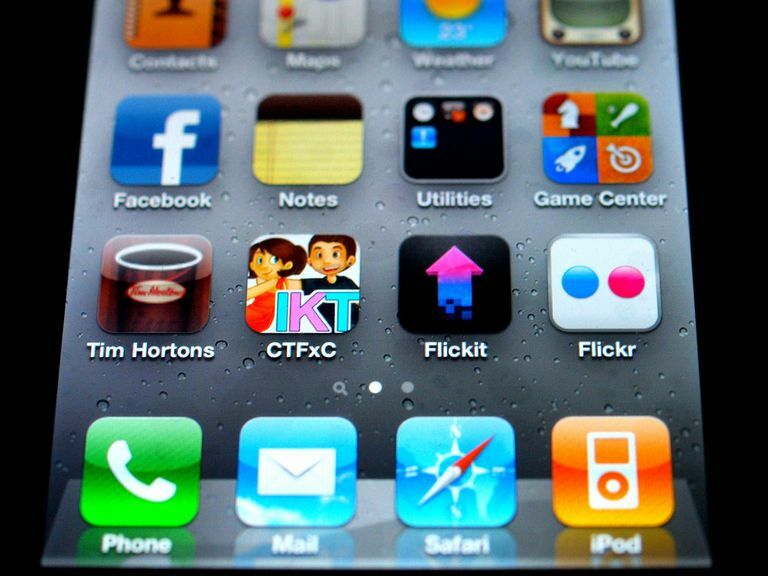 Click on any app you want to remove from your iPod touch. Click Move to Trash in the window that pops up. Repeat for any other apps you want to remove. Apple remembers all your purchases. If you decide you need an app back in the future, you can redownload it. You may, however, lose in-app information, such as game scores. Select iPhone Storage (called Storage & iCloud Usage on some older versions). Tap Manage Storage in the Storage section (skip this step in newer versions). Tap any app that is on the list. On the screen about the app that opens, tap Delete App. Tap Delete App on the confirmation screen that pops up to complete the uninstall. Go to the Apps menu in iTunes. On this screen, which shows the mobile apps on your hard drive, single-click an app you want to delete. You'll be asked to confirm the deletion. If you really want to remove the app forever, confirm. Otherwise, cancel and let the app live to be used another day. There's one scenario in which your apps might seem to be deleted, but actually are still on your iPod touch. Learn all about it by reading How to Get Missing Apps Back. Click Purchased in the right column. Find the app you want to hide and hover your mouse over it. An X appears on the icon. Click the X to hide the app on the screen.